Dr. Li, received his Ph.D.s from Tokushima University, Japan in 2000 and Central South University, China in 1997, respectively. He got his master degree at the same school after graduated from Hunan Medical University. From 2000 to 2002, he had postdoctoral training in Vanderbilt University, USA. Then Dr. Li moved to Saint Louis University and became a faculty member as an Assistant Professor at Pharmacology Department. In September of 2008, he joined GIBH and set up an Ion Channels Research Lab. In 2009, he was selected as “Hundred Talent Plan” of Chinese Academy of Sciences. Currently have five research assistants and ten students (4 Ph.D. and 6 M.Sc.) in the lab. 1. Study on Ion Channels Properties of Motor neurons Differentiation from iPSCs: Our purpose is to explore that iPS-derived cells are able to generate electrically active motor neurons using electrophysiological methods, such as ion channels recording and signal stimulus. 2. The study of P2X molecular structure: The purpose of this project is to understand TM1 and TM2 of P2X2 interacting each other. 3. Flu M2 structure and Discovery of M2 Antagonists for New Antiviral drugs: Electrophysiological recording on flu virus M2 ion channels and the mechanism of M2 channels selective inhibition by amantadine. 4. Study on drug safety evaluation: High Throughput Screening Services for QT prolongation on Early Drug Discovery, to implicate for drug safety evaluation on GIBH compound library and current market drugs. Deng S, Hou G, Xue Z, Zhang L, Zhou Y, Liu C, Liu Y, Li Z *, Vitamin E isomer -tocopherol enhances the efﬁciency of neural stem cell differentiation via L-type calcium channel, Neuroscience Letters. (2014) 585C:166-170. Jie Y, Zhang L, Xu H, Gao C, Ma W, Li Z, Involvement of the left-flipper-to-dorsal-fin interface of the zebrafish P2X4 receptor in ATP binding and structural rearrangement. Neurosci Lett. (2014) 582C:1-5. Zhang L, Xu H, Jie Y, Gao C, Chen W, Yin S, Samways DS, Li Z, Involvement of Ectodomain Leu 214 in ATP Binding and Channel Desensitization of the P2X4 Receptor. Biochemistry. (2014) 53(18): 3012-3019. 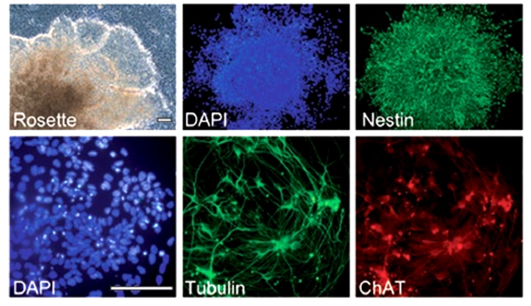 Chen W, Liu J, Zhang L, Xu H, Guo X, Deng S, Liu L, Yu D, Chen Y, Li Z, Generation of the SCN1A epilepsy mutation in hiPS cells using the TALEN technique. Scientific Reports. . (2014) 4:5404. Long Y, Chen W, Lin Z, Sun H, Xia M, Zheng W, Li Z, Inhibition of HERG potassium channels by domiphen bromide and didecyl dimethylammonium bromide. Eur J Pharmacol. . (2014) 737C: 202-209.